In the last couple of years I have noticed an increase in the Grey Hair. I've got one, roughly egg sized, pocket of grey hair on ONE spot on my head. Exactly where I part my hair. When they first started popping up I was plucking them out immediately. And what I learned from that experience is that a grey hair brows back totally differently than regular hair. So I had these ridiculous short grey hairs sticking STRAIGHT UP from the middle of my head. So now that I have gone on a bit of a tangent train, let me get back to what I am actually posting about. In the past few months the spot has increased in population and I am NOT pulling them out anymore. So what I am wondering is this... Has anyone tried covering up grey with natural hair dyes? I am looking at this online right now and considering it. 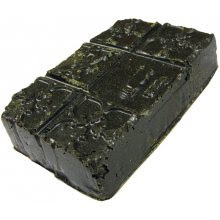 It's the Caca Brun from Lush. I have also seen henna style hair dyes at the health food store, that I am thinking of considering as well. I am leaving these shores... for the island shores a scant hour and a half away. Yes yes, I am feeling dramatic. That's right, I will be back in Vancouver in TWO WEEKS. I might post between now and then, depends on if I have computer access. I spent the last week here at the house by myself working FURIOUSLY on gifts and getting ready to head over while at the same time working at the clinic. Last night I was so tired I conked out at 9:30! But for the next 2 weeks I'll be doing whatever catches my fancy. When I'm not doing the holiday with family thing (we've got three) and getting ready for the holiday with family things. 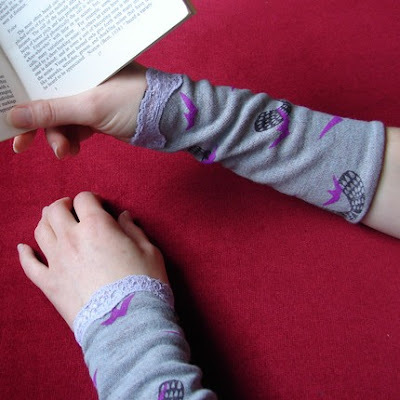 I am hoping to do some baking, some reading, some knitting, some sleeping. I hope that all of you out there are having a wonderful week and that the holidays find you happy and healthy. I have (finally!) updated my etsy shop! I've got some of the Lace earrings in there as well as a pair of leather Feather earrings that I've had kicking around, waiting to get into the shop for a little while! I'll add another pair of the leather earrings in there tonight, but I've got to head off to work ASAP! After the holidays I plan to post some MORE!! It's just a little thing. In this other blog I posted about what I did to my engagement ring. This is the trouble when you are a jeweller. I keep having these IDEAS that get me into trouble. So last week I was all "I'm not sure if I really love this ring" to myself. And I was all "well why don't you do something about it, like melt it down and make it another ring." And I was all "that's a GREAT idea! I know just what to do!" So I cut my sweet little engagement ring into bits, and melted it down with some other little bits WITH THE FULL EXPECTATION OF THE METAL DOING WHAT I EXPECTED IT TO. Which is of course, what it did not do. Instead of ending up with a bar of gold just the right size for shaping into a new band, what did I get? A. A BALL of gold that was doing NOTHING for my equanimity. SO. I spent WAY too much time hammering the crap out of it to make it into a bar so that I could make it into a ring. And I got halfway to what it needed to be. And my shoulder was seizing up and I had to have the most painful physiotherapy I've had in a long time. So I felt ridiculous for a couple of days. I cut the hammered bar in half and MELTED THEM AGAIN. But this time... they were going to be pendants. Check out this little bad boy. And I am so inspired by the shape of it (yes the one I am currently wearing is just a little blob, HOWEVER! The other one, the one that I have not set yet, is more oblong and organic.) that I am considering doing a few more. Oh yeah! I haven't even GOTTEN to that part yet. The wee stone in there? It's a champagne diamond. I have had it since school, and never used it in anything. This is what I do after a day of working in the studio. Please please read this blog. I have just bookmarked it so I can read it every day. 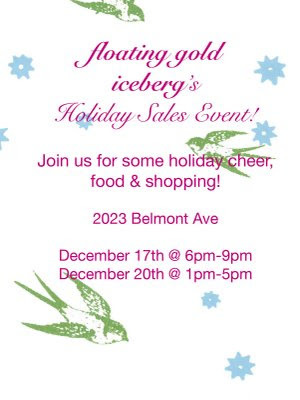 Floating Gold Iceberg's Holiday sales! Next week, my dear friends and cohorts are having a couple of in house Holiday Sales. There will be wine and drinks, snacks and OH YEAH! I will be joining the fun for the Saturday Event. (I've got to work on the mainland until Thursday, so I'll miss Wednesday's fun.) And let me tell you, I am VERY excited! I love these girls and what they do so much! So if you are in Victoria next week and have a few more gifts to buy, swing on over for a lovely good time. And if you aren't able to make it, check out the online shops! Geoff and I went on an extended weekend to the US this past weekend. His Mom was showing some work from her textile art program in Oak Harbor and it was a great chance to get away and see some talented women at work. I don't have pictures uploaded onto the computer yet, but I'll be getting to that tonight or tomorrow morning. Just wanted to throw you a bone, you know. Today I am off to the office, and tomorrow I am going to slug it out and hopefully get a serious dent made in my gift making. Geoff is heading over to the island on Friday, so I'll have a week of the house to myself before I go over. Which usually means that I get lots done. So everything that I can't walk over with myself will have to be ready this week! While I was on the island for all of the craft fairs, Angie and I got tattoos!